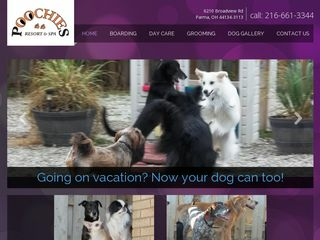 20 dog boarding businesses near Olmsted Falls, Ohio. 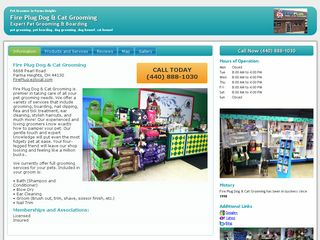 To see the next 20 pet boarding options visit Olmsted Falls page 2. Olmsted Falls, OH 44138 | 0.8 miles away. 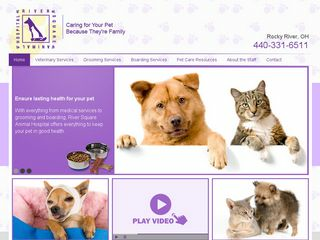 NANNY BOGGS PET CARE - Pet Sitting in you home, Daily dog walks or potty breaks. Berea, OH 44017 | 2.9 miles away. 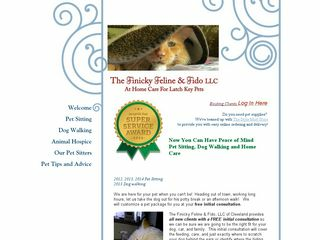 A few of The Finicky Feline & Fido, LLC unique pet sitting services for dogs and cats. North Olmsted, OH 44070 | 2.9 miles away. Cleveland, OH 44135 | 5.6 miles away. Strongsville, OH 44149 | 6.2 miles away. 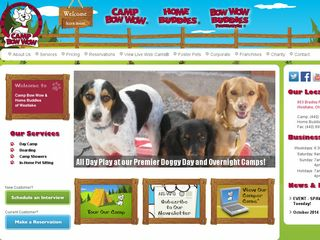 Premier dog daycare and boarding facility. 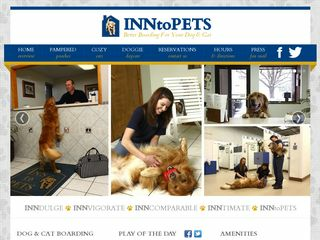 Also offering in-home pet sitting, dog walking, dog training, pooper scooper services and more! Westlake, OH 44145 | 6.9 miles away. Strongsville, OH 44149 | 7 miles away. 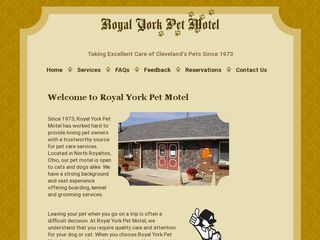 Most Trusted Dog Gone It provides one on one attention with professional Dog Walkers and Pet Sitters in Strongsville and surrounding communities. Westlake, OH 44145 | 7 miles away. 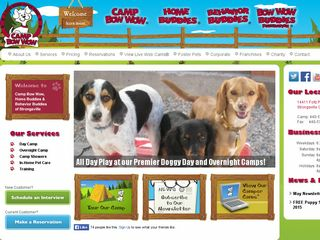 Westlake's premier dog day care and overnight boarding facility. Also offering in-home pet sitting, dog walking and pet waste removal services! Cleveland, OH 44130 | 7.1 miles away. Cleveland, OH 44135 | 7.9 miles away. 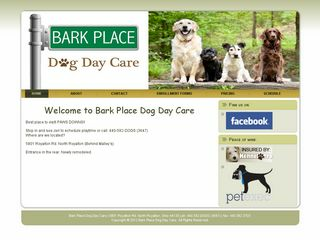 Dog Walkers and Pet Sitters in Bay Village, Westlake, North Olmsted, Rocky River, Fairview Park, Cleveland, Lakewood, Bratenahl. Rocky River, OH 44116 | 8.1 miles away. North Royalton, OH 44133 | 9.5 miles away. Cleveland, OH 44111 | 9.6 miles away. Grafton, OH 44044 | 10.3 miles away. Cleveland, OH 44102 | 10.7 miles away. Cleveland, OH 44134 | 10.8 miles away. 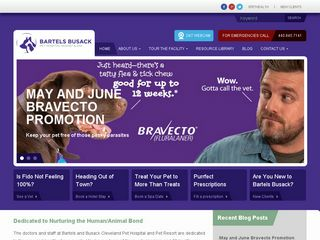 Bartels Busack is one of the most experienced vets in the area Cleveland, we even offer a high end doggy day care! Contact us today. North Royalton, OH 44133 | 11 miles away. Avon Lake, OH 44012 | 11.3 miles away. 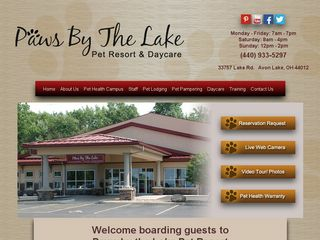 Paws by the lake is an Avon Lake pet resort for cats and dogs. We are a pet boarding kennel. Cleveland, OH 44134 | 12 miles away. Broadview Heights, OH 44147 | 13.6 miles away.